Balloon Camp St. Louis is one of our most fun camps. 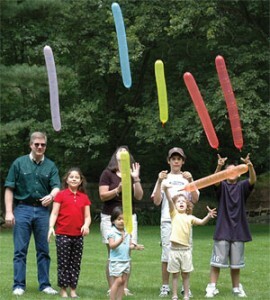 Kids LOVE twisting balloons! So much so that we call our camp Balloonatics, which we define as a child who is crazy about twisting balloons. 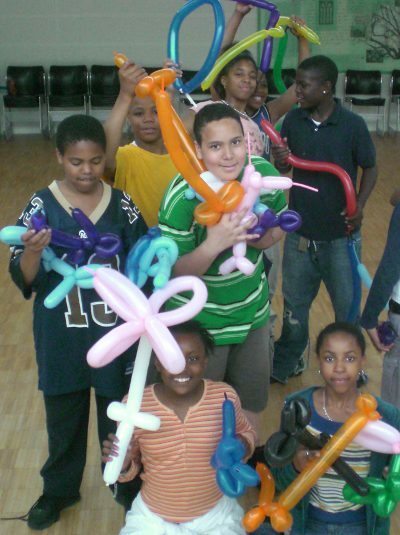 When we first started teaching balloon twisting to kids, we wondered if it would hold their attention enough to do six 1-hour after school classes after school. They liked it so well that we expanded it to a 15 hour/week camp! And kids still can’t get enough of it. 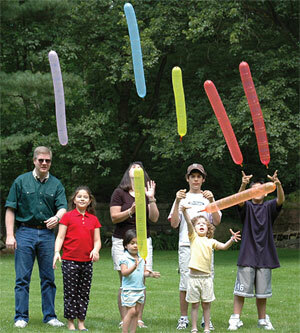 Kids learn to twist lots of different balloon animals and shapes, which they take home to proudly show off each day. Camp culminates with students putting on a balloon exhibition of their works. To add to the summer camp fun, campers work together on a large balloon structure which display on the final day to the parents at their balloon show. This project teaches teamwork. It is fun for the campers to see their progress evolve as it goes along. Campers enjoy a variety of balloon games. 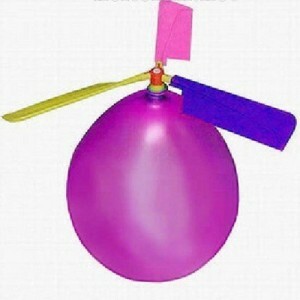 And finally, space and weather permitting, on Thursday students enjoy a big water balloon activity. To add to the fun of balloon camp St. Louis, campers take home a different unique balloon each day! Have you ever seen a helicopter balloon? How about a rocket balloon? A balloon that lights up? Novelty balloons add variety to balloon twisting and is a lot of fun for the campers. You will find Balloon Camp St. Louis at schools and community centers throughout the St. Louis area, in both Missouri and Illinois. So whether you live in Chesterfield or Crestwood, Collinsville or Belleville, we have a balloon camp St. Louis near you. With all of these fun activities–balloon twisting, building a mega balloon structure, balloon games, water balloons, and daily take-home novelty balloons—no wonder balloon camp St. Louis is such a fun summer camp! Sign Up for Balloon Camp! "Very creative. I wish I would have been able to attend a camp like this as a kid! She ennjoyed making different objects with the balloons and interacting with the staff." "She liked it a lot. The house that they made together was her favorite. She thought it was a really fun camp!" "Aiden loved this camp. 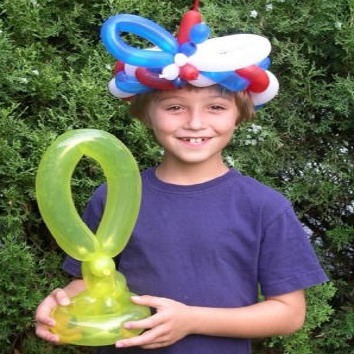 He had so much fun and he liked showing his balloon creations at home. It was a real confidence booster!" "My daughter really seemed to enjoy making balloons. Great hands-on activities for the kids." "Balloon camp was great! My child had a lot of fun. It helped build fine motor skills." "He had a wonderful time in balloonatics camp. Everything was great. Wyatt loved it and said the only thing that could have been better was if it was longer." "She had fun at balloon camp and learned new skills." "Max had a wonderful week. He looked forward to coming each day and learning new things. He was especially proud of learning to make a pirate sword!" "He enjoyed balloon camp--especially learning to twist balloons and making the big house at the end."